Low-income parents have been found to prefer the lowest-cost child-care service, regardless of the location or available services at the care centre. Securing a coveted space in the right daycare for a child is like winning the lottery for tens of thousands of Canadian working parents. It’s not a stretch to say children’s future success rests, at least in part, on the professional care they receive in their early years. 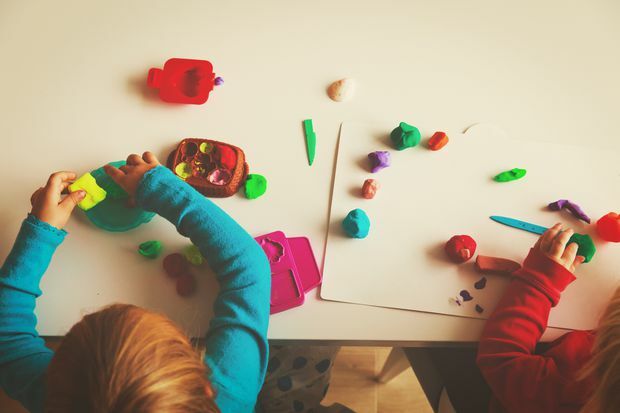 Existing research suggests children from across the socioeconomic spectrum have a greater chance of achieving academic and career success if they’ve received regulated child care. Early childhood education is especially important for the advancement of children from low-income families, according to past studies. But there’s a problem. Child-care facilities tend to be filled with children from wealthier households. In Canada, two thirds of parents with an annual household income of at least $100,000 use child-care services, while households with an income below $40,000 use child-care services at half this rate, according to researchers Hsin-Chen Lin and Jane Dunnett of the faculty of business administration at the University of New Brunswick in Fredericton. The marketing professors recently completed an academic study of the barriers to child care, in the hopes of shedding light on how parents from different income brackets choose their child-care providers, and identify how providers can better tailor their child-care service to meet the differing demands. Dr. Lin and Dr. Dunnett centred their work on parents in New Brunswick, where the provincial government provides child-care assistance programs to low-income families whose annual income is lower than $55,000. In this program, assistance is paid directly to the child-care facilities and not the parents. The parents are responsible for finding the licensed child-care facilities that accept the assistance programs and for paying the difference between the actual cost and the subsidized amount approved by the government program. The research identified significant barriers to assistance-program access, rendering it “less effective in helping parents receive subsidies than they could be,” says Dr. Lin in an e-mail. Key to the study, the researchers found 62.5 per cent of eligible families were aware of the government subsidies, while just 20 per cent of those eligible actually received subsidies. Another is the mismatch between the preferences of low-income parents and available options. For instance, low-income parents have been found to prefer the lowest-cost child-care service, regardless of the location or available services at the care centre. High-income parents also gravitate toward the lowest price point, but will pay more if the facility is conveniently located near their home or office. The unintended result can exclude low-income earners. For instance, by sacrificing a low price point for greater convenience, child-care providers inadvertently meet the preferences of high-income parents. Meanwhile, low-income parents might avoid child-care services altogether because of a lack of desirable or affordable options. As the New Brunswick government has recently announced a large investment in daycare facilities, the authors say their findings would be helpful in identifying and better supporting the needs of low-income families. On the academic side, the professors also hope the study leads to a further investigation of the impact of government investment in child-care services and the benefit they have on children over time. The research was published in Services Marketing Quarterly.